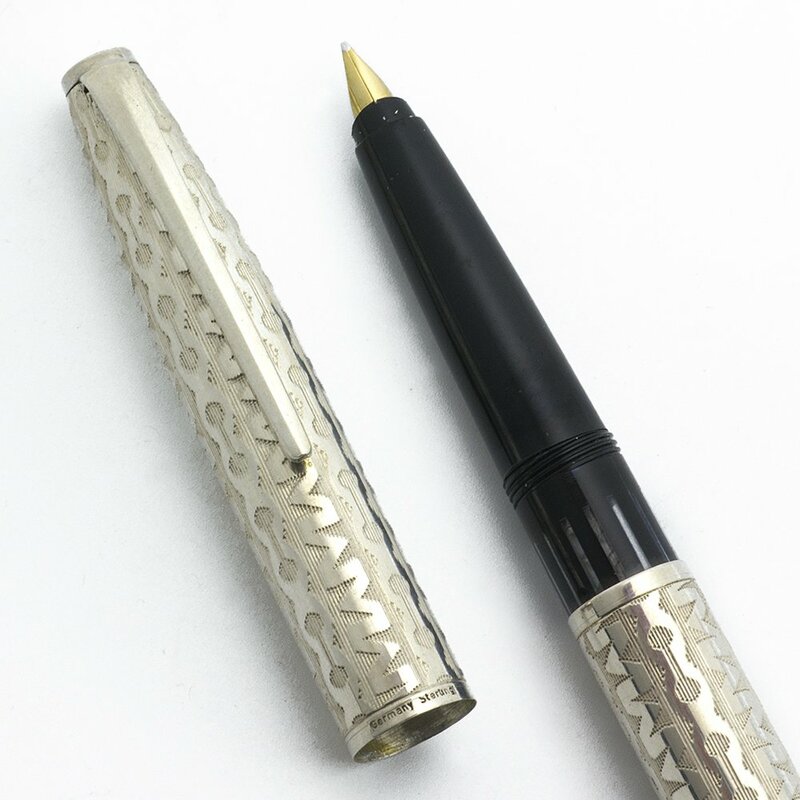 Mark Cross sterling fountain pen probably made before the 1983 acquisition of the company by A.T. Cross. It has alternating rows of M's and C's on the cap and barrel. 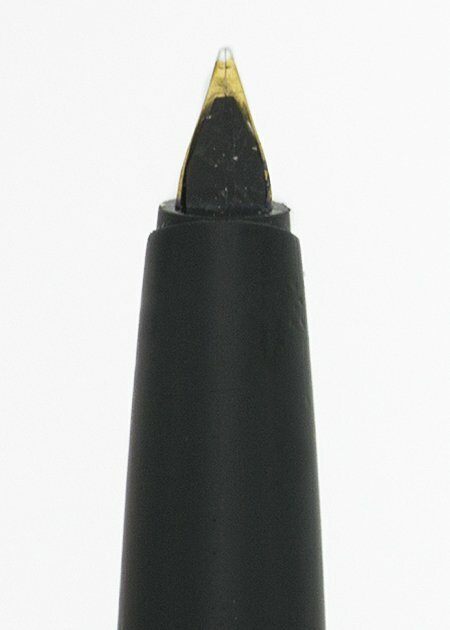 Piston filler with a fine nib. Excellent condition. Manufacturer and Year Mark Cross, made in Germany -- 1970s or 80s, Cross acquired Mark Cross in 1983 but based off of where the pen was made this should be from before then. Filling System Piston filler. The entire barrel unthreads to expose the piston filing system. It is fully tested and works well. 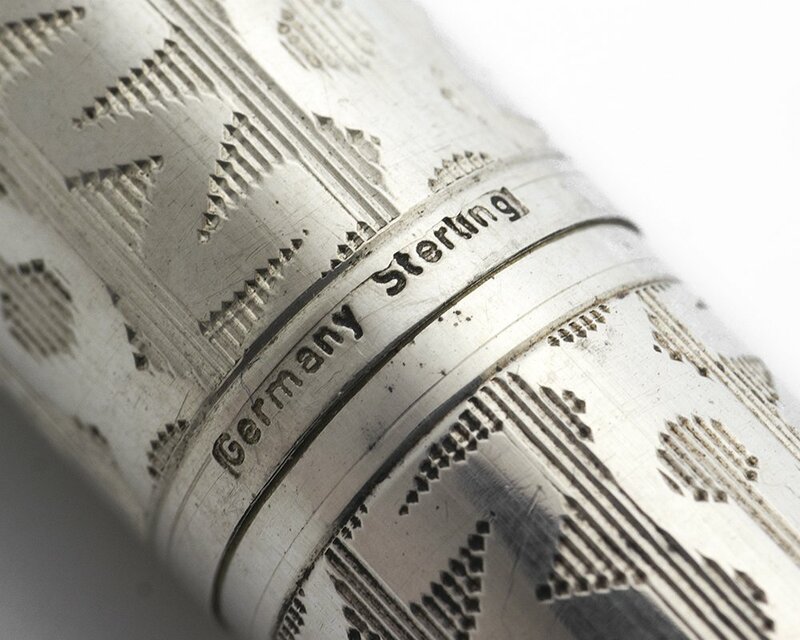 Color Solid sterling cap and barrel with rows of stamped M's and C's. The cap stays on the barrel via threads. The section is black. 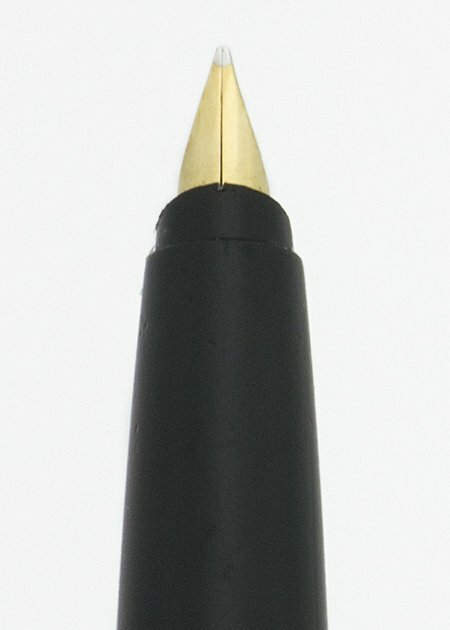 Nib FINE semi-hooded nib. 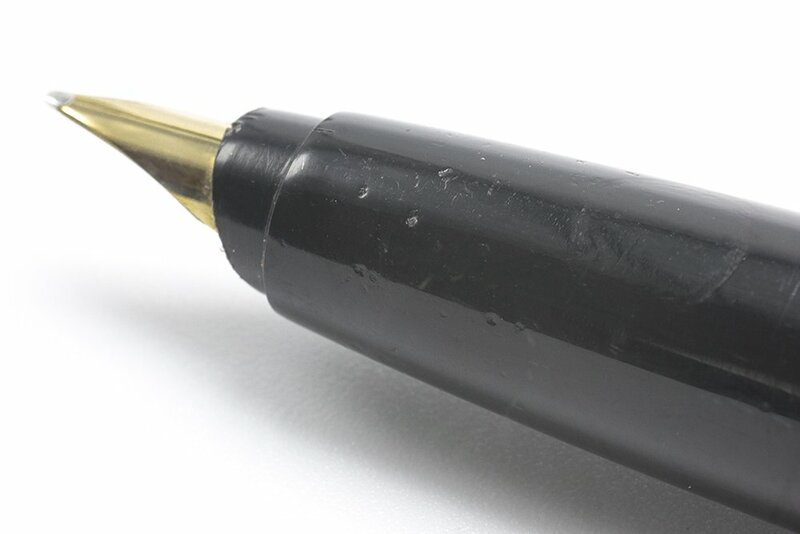 It looks like it's a gold nib but we didn't remove the nib to verify. It writes smoothly with springyness. Condition Excellent condition. There are tool marks on the section and and a few marks on the end of the barrel. The pattern has held up well. No dents, cracks, chips, or major scratches.